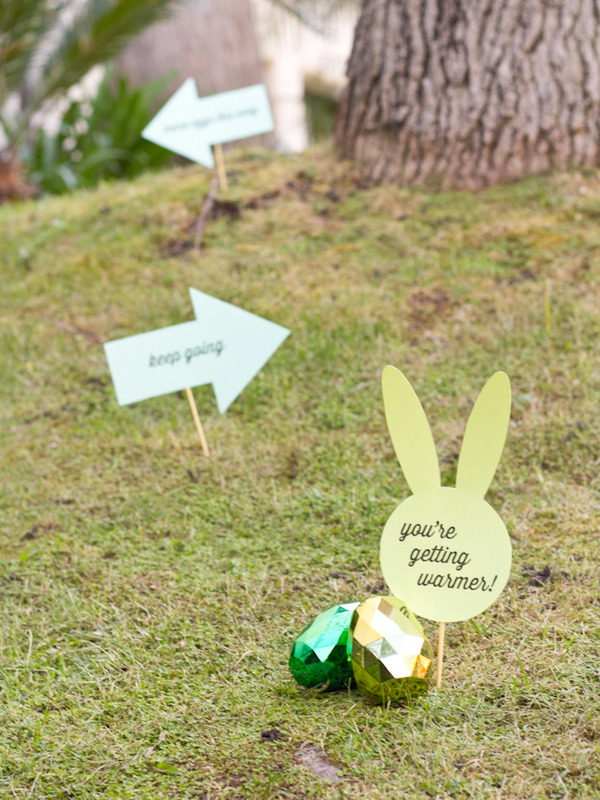 I used to love hunting for Easter eggs in a major way when I was little. 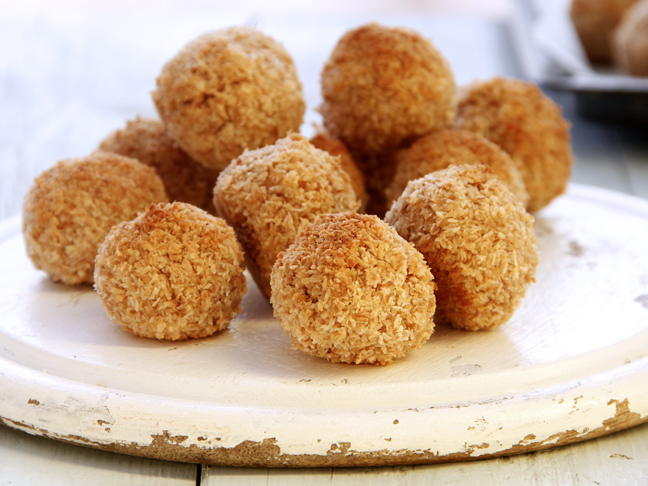 I would make my mom hide them over and over, long after Easter was done. And now my niece loves hunting for them, too! 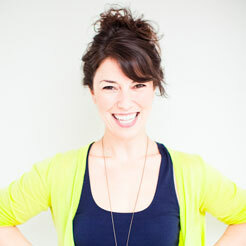 She starts way before Easter, hiding her own plastic eggs and going to "find" them. 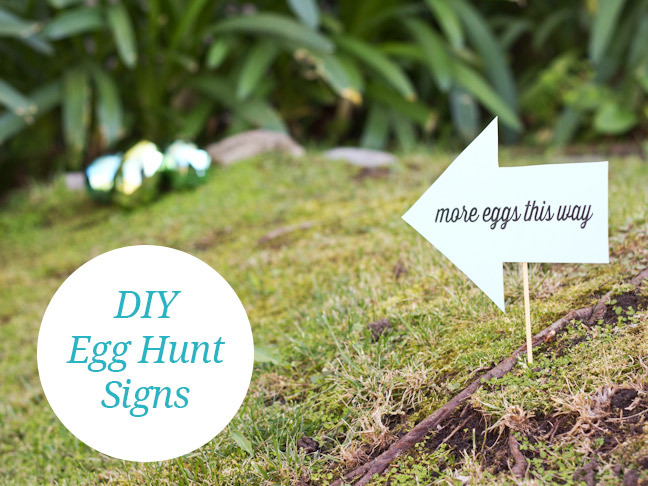 So to get into the egg hunting spirit, I made these quick, easy Easter egg hunt signs! 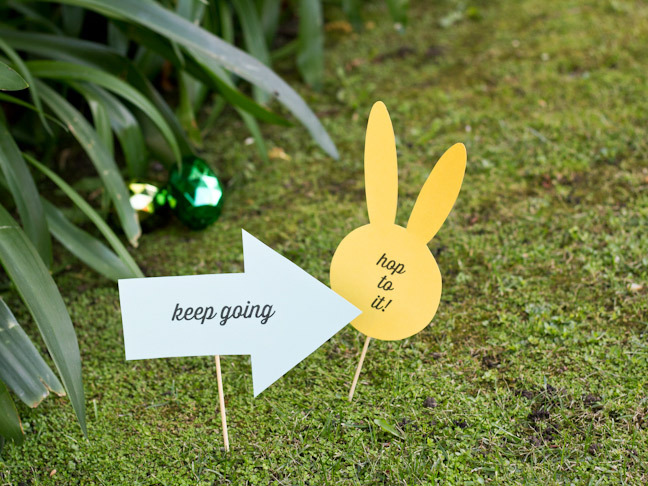 You can print them out and set up your very own Easter egg hunt, with a little help and guidance from these little arrows and bunnies. Let's do it! 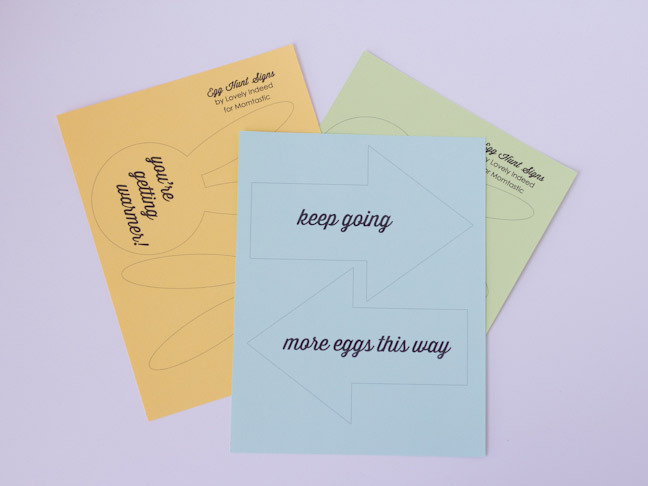 Step 1: Download and print out the free template on your card stock. 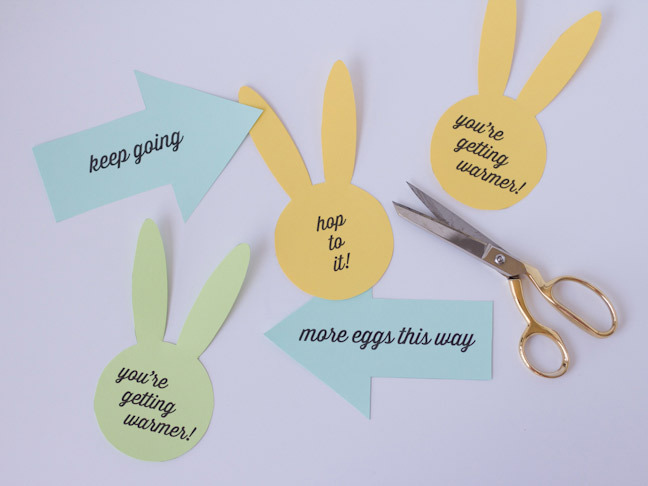 Step 2: Cut out each shape. 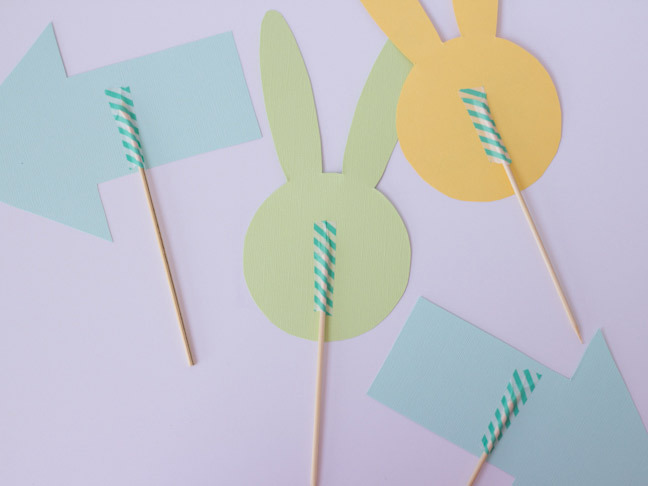 Step 3: Use a bit of washi tape to affix a bamboo skewer to the back of each shape. I cut my bamboo skewers in half because I wanted the signs a bit lower to the ground. 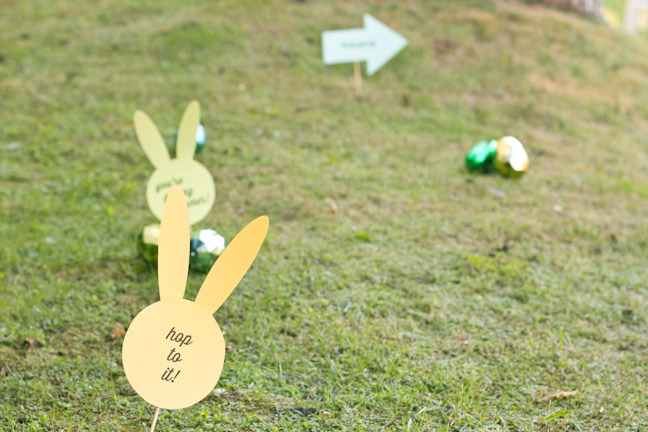 Step 4: Head outside and stick your signs in the grass to help your little ones find their Easter eggs! Happy hunting!